Is it fair to label any form of women's resistance groups as atoms of the global feminist movement? Josephine Ahikire was intrigued by the wording surrounding women's resistance and feminism, and how it systematically separates the two. In her view, what a woman resists is mediated by her situation, which is itself affected by gender, class, employment or poverty issuses - so by definition, it is about feminism. 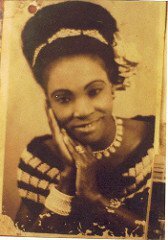 Ahikire cited as a case study the Aba women's riots of 1929, part of Nigeria's struggle against colonialism: was this an act of feminism? Josephine argued that the gendered nature in which those women experienced colonialism and how they organised resistance made it a feminist act. When the example of the Mothers of the Plaza de Mayo was suggested, murmurs of disagreement could be heard: some say this mobilisation was gendered, but not feminist. According to Cecilia Sardenberg, the protestors are not questioning the system as women. Many disagreed: they were all mothers, incarnating a female role linked to feminist struggles. Srilatha Batliwala offered a tentative answer to a question she posed: she questioned the exercise of agency by women in public projects. A lot still has to be done in trying to understand how women use available spaces which in turn enable them to become public actors. A search for agency is not only one taking place in the private realm, as it is sometimes implied: one of the most pressing forms of exclusion of women is the practices which push them away from public projects, and one form of resistance is to try to access these - whether or not it is a feminist one is the next layer of disctinction.